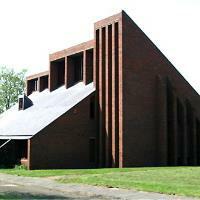 An unusually designed, modern church building built in the 1970’s. Services are traditional in format and content and a warm welcome is extended to all visitors. Viewings of the interior of the building can be undertaken by arrangement with the secretary.